We are really pleased to now be able to offer Physio and sports needs here at the practice. Established for over 50 years our HCPC Registered, Chartered Physiotherapists have been providing physiotherapy services to the local communities and we have now expanded our services to the Worcester area. Stephanie is located on our first first floor and established SO podiatry in March 2017. She has worked previously for 18 years in the NHS and part time in the private sector. 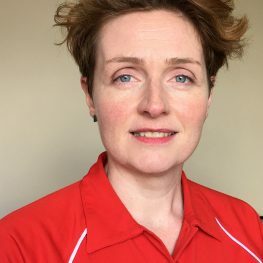 She qualified with a BSc(Hons) in Podiatry in 1999 from QMUC Edinburgh and achieved a MSc in Clinical Podiatric Biomechanics from University of Staffordshire in 2010. 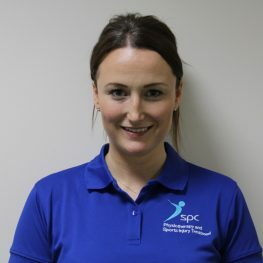 She specialises in lower limb biomechanics and gait analysis, having previously worked for 7 years within a Sports and Exercise Medicine Team at the QE Birmingham. Working as a podiatrist is really rewarding as it enables people to be able to walk or run pain free. SO podiatry offers all aspects of podiatry and chiropody; whether its an ingrowing toenail or painful corn, unattractive nails that require aesthetic treatment right through to Verrucae needling and Biomechanics which may require strengthening and exercise program, footwear advise or modifications right through to bespoke casted foot orthoses. When Stephanie isn’t working or running around after her two small children she plays Netball weekly in the local Worcester league. Stephanie is HCPC registered and a member of the British Society of Chiropodists and Podiatrists.